Hairy Mountain Folk: Sprouting my Japanese pillow? Anyone that knows me well knows that I dribble when I sleep. That has been ok ‘till now as long as you don’t have long hair. Thing is the pillow in the hotel has a layer of Marco Beans in it and I am worried about my pillow sprouting. 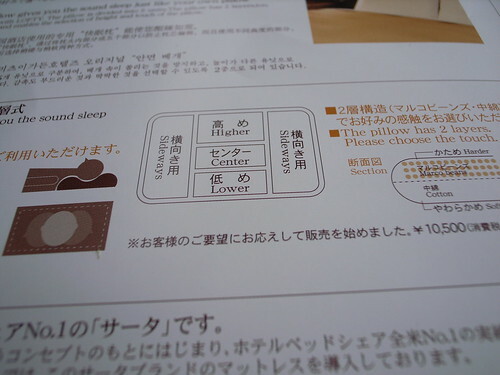 I have read the pillow instructions that I have included but they don’t answer my concerns. If anyone knows what they are and whether I am in danger of pillow growth please let me know. See, there is a good use for your dribble after all!